Recently I spent a week in the historic city of Richmond in the state of Virginia on the east coast of the United States while conducting a five day seminar for a major American corporation. 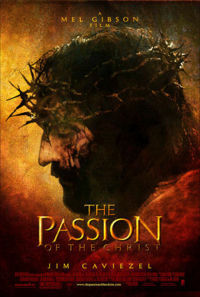 One evening after the work of the day was complete, I took myself to see Mel Gibson's movie The Passion Of The Christ. It's a harrowing yet brilliant work. Throughout the movie, being an open listening for the story being told, who I really am - the Self - was alive with me and enlivened for me. There is a seamless unity I experience with the Self, that same Self we all really are which is as real for me as the back of my hand. I neither understand it and nor can I explain it. It just is and I no longer question it. Yet it's the richest thing in my life. You can watch the movie from various perspectives. You can watch the movie as if it's "the truth". You can watch the movie as an interpretation, as a representation of The Greatest Story Ever Told. Or (it may not have been Mel Gibson's intention) you can watch it from the prespective of a man, grounded in Self, sharing transformation. Looking at the movie from that perspective, Jesus Christ stood for and spoke transformation. transformation. He generated transformation with his spoken words. He lived into a future of his own creation. He was committed to what he stood for even unto his own death. Some of the people in his life didn't get what he was saying. Some got who he is totally. Many were threatened by him. A few really loved him. And ultimately, whether or not he was gotten by the people who crucified him, he was alright with God. In immersing myself in his life story, I also got that what you and I stand for, speak, generate, and live into is no different than what Jesus stood for, spoke, generated, and lived into. I don't mean to equate you with I with Jesus (and I mean that on a very, very basic and obvious level: you are you and I am I and Jesus is Jesus, and that is all I mean by not equating you and I with Jesus). However, what it's possible for you and I to make available is the same as what Jesus made available. As you and I are that same Self Jesus is (on a level that brings tears to my eyes with the sheer joy of it), we all make that available - or (spoken more rigorously), it's within each of our domains of choice to make that available. Literally, as Werner Erhard said, each of us has the choice to make the future viability of mankind our own personal business. In the context of knowing who we really are, were Jesus to return (and I'm not under any illusions that he will return or that he won't return - that seems to be the subject of conjecture for another conversation), he seems to be a guy I could be friends with. It would be a rich friendship, just as all friendships are rich when the participating parties are grounded in being who we really are. I sat in my seat in that quiet, almost empty cinema still in my trainer's clothes: sport coat, white shirt, black slacks, nice shoes. Inside that experience, everything was in its place. The entire experience throughout duration of the movie was drenched in Zen: everything in its place, just so. There's an enormous amount of material in the legend told of the life of Jesus which reflects who we really are, who I really am. Yet I'm street smart enough to keep that appropriately to myself until I'm willing to risk sharing some of it with you. People, regardless of their faiths, are often threatened by speaking which confronts their own belief systems, just as they were two thousand years ago. My destiny, unlike Jesus', doesn't include being crucified.